The ‘Color Red’ siren sounded Monday morning but no rocket strike was identified. The “Color Red” siren for incoming rockets sounded Monday morning around 6:30 AM in several Gaza Belt communities, within the Sha’ar Hanegev region. 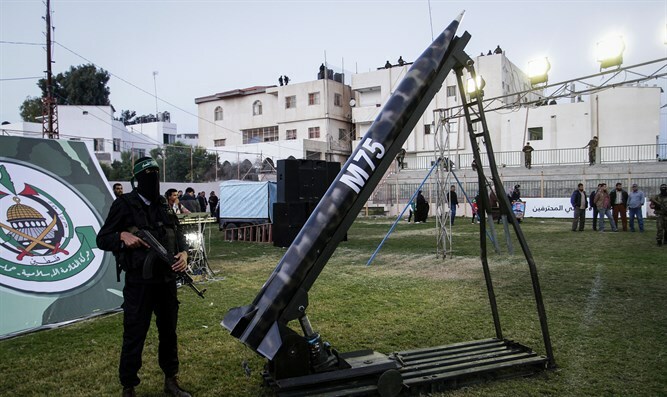 The siren sounded after a rocket launch from Gaza was identified. The IDF said, however, that no rocket strike was identified on Israeli soil and that no one had been hurt. Shortly after the alarm sounded, an IAF aircraft struck a Hamas terror infrastructure in northern Gaza. The IDF Spokesman stressed that Israel sees Hamas as being exclusively responsible for what happens in Gaza.